Easter is just around the corner! Yay! One of my family’s favourite Easter traditions is decorating Easter eggs. First, we hardboil the eggs and let them cool, then add some vinegar and food colouring to a bowl of water, and (try to) wait patiently while the egg shells soak and take on deep shades of colour. But what to do with the extra egg cartons that accumulate? 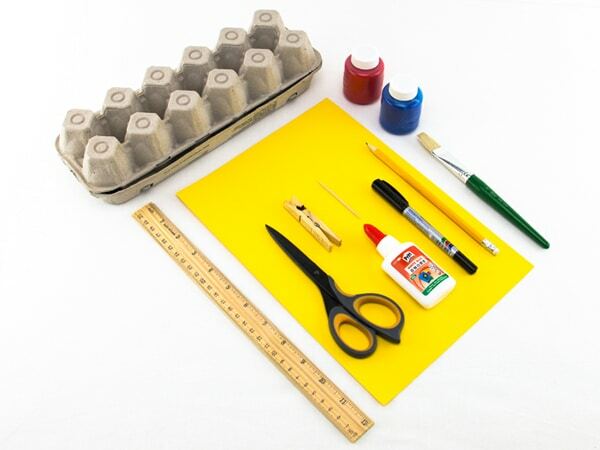 How about up-cycling the egg cartons into fun Easter bunnies! These bunnies are perfect to use as Easter decorations around the house and make great gifts for teachers, friends and family. 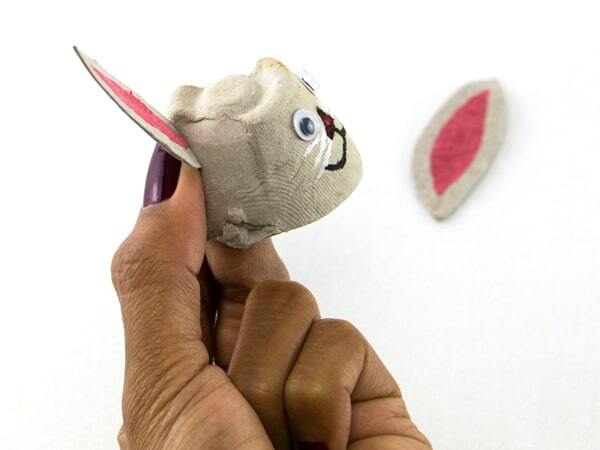 Create a family of little Easter Bunnies! Add paint to make white, brown or even a pink bunny! 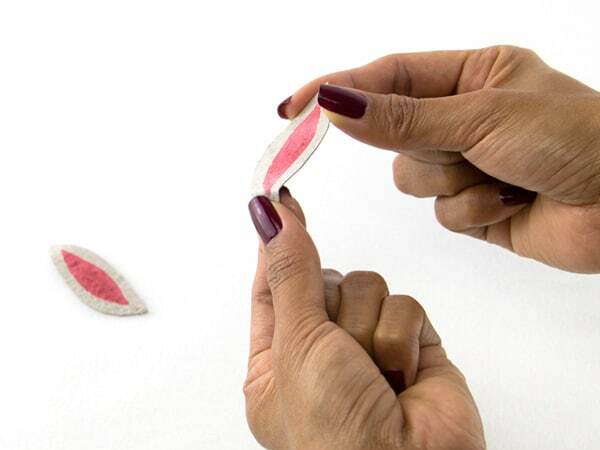 Cut 2 strips of the egg carton or cardboard for each bunny approximately 6cm x 3cm. Draw a bunny ear shape on the rectangle cardboard strips. 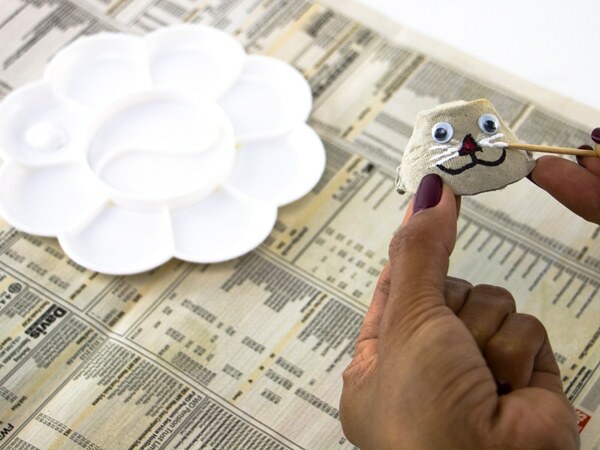 Use a toothpick to add fine whiskers with white paint. Bend the bottom tip of each ear about 1 cm. Put white glue onto the bent tip and stick on the back of the cup. Pinch and hold for 30 seconds. Let dry. 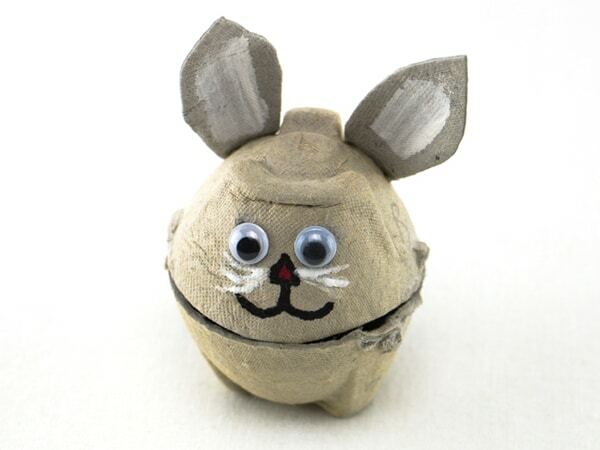 I hope you enjoyed this Easter Bunny Craft for kids! Have fun decorating your home or give as a gift to friends or teachers. 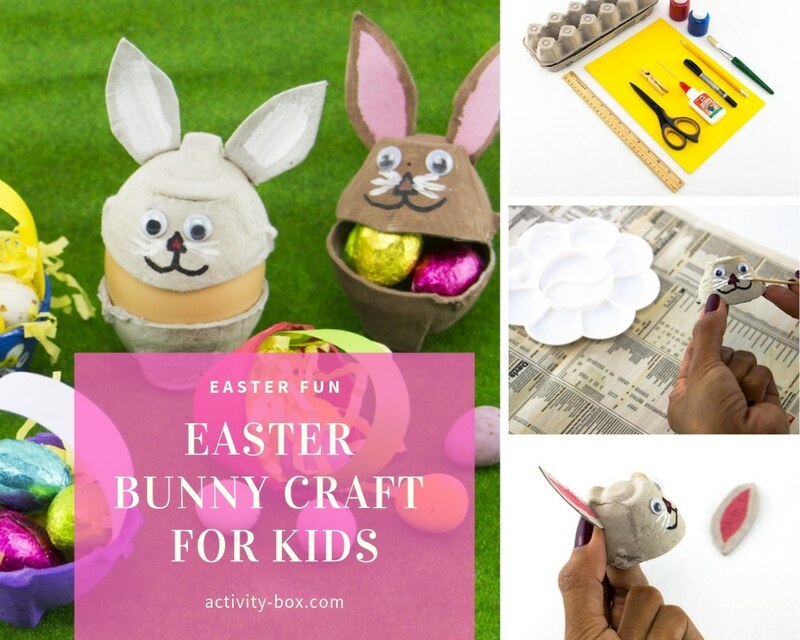 If you enjoy doing art and craft activities at home with your child why not try out ActivityBox for a month or two with a monthly subscription! We provide you easy to follow instructions and all the materials you need each month based on a new theme your child will love.